The family company Bogesunds Vaveri AB from Sweden has been weaving fabrics for over 75 years. Within these walls, tradition and experience complement their willingness to innovate. 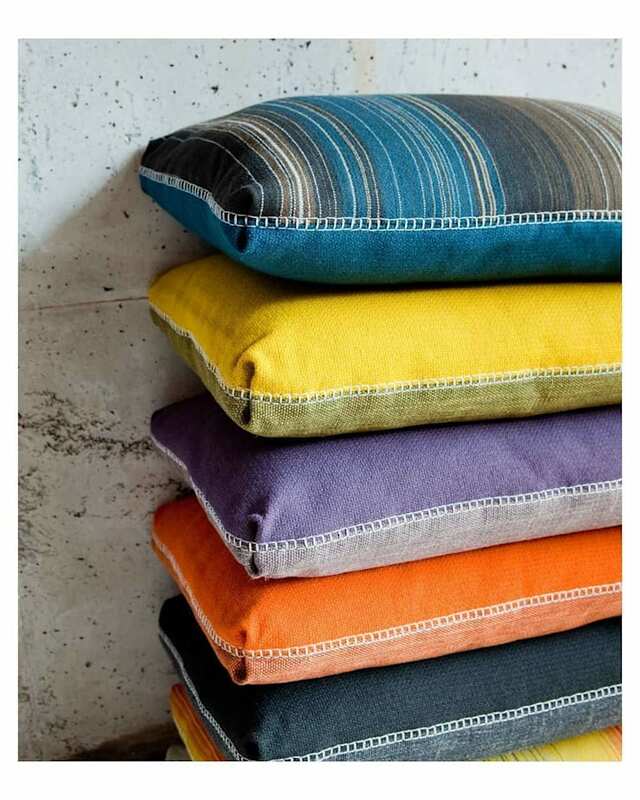 Claire Vos selected Bogesunds Mecano fabric to create a wonderful series of 7 cushions for the new Moodworks collection. The complete furniture collection will be presented in January 2012.